After a quick survey of the famous pioneers of human movement analysis and the actual needs in different domains, this book presents the main types of systems available on the market (with the pros and cons), and then details the most widely used: the optoelectronic systems using passive markers. The theoretical background for joint kinematics calculation is explained, specifying the international standardization for parameters reports. One chapter is dedicated to measurement errors and their management, followed by several applications, mostly in the clinical field. Laurence CHEZE, Engineer in Mechanics, Ph.D. in Biomechanics, Professor at University of Lyon (France) where she is responsible of the Biomechanics specialty of the Master degree. She has been an active researcher in the field of biomechanics since the 1990s, involved in many research projects conducted with academic and industrial partners which applications where mainly in orthopedics and rehabilitation. She organized several international congresses, and is reviewer for many international journals and research projects. 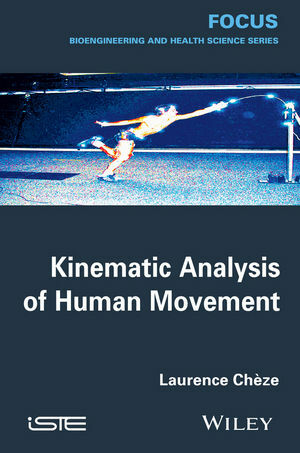 Author of approximately 80 papers in archive journals and ex-president of the french Society of Biomechanics, her main fields of interest are multi-body modeling of the musculo-skeletal system, 3D motion experimental measurement and analysis for both fundamental research and clinical investigations. Until now, she has supervised 38 students in MSc and 20 students in Ph.D on these topics.